paper to demonstrate hand/eye coordination and accuracy. support a FCCLA STAR project of "We Get Fit With Wii". ways to improve parent-teen relationships. 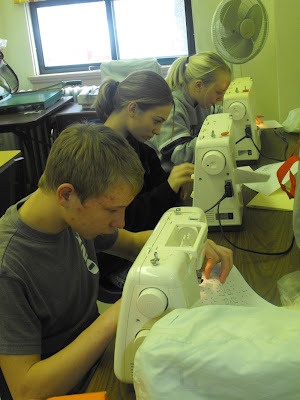 learning hand/eye coordination with the sewing machines. couple of dot to dot activities with the sewing machine. different types of sewing projects from Haan Craft. types of birthing techniques and wrap up the chapter. through the Wii and have fun doing it. Stevens- Health and Wellness- "We Get Fit With Wii". Cross County, Superior, Thayer Central, Sutton, and York. FCCLA week at our annual "Super Nachos and STARS Night".